Birdbaths are an important part of any urban wildlife sanctuary. 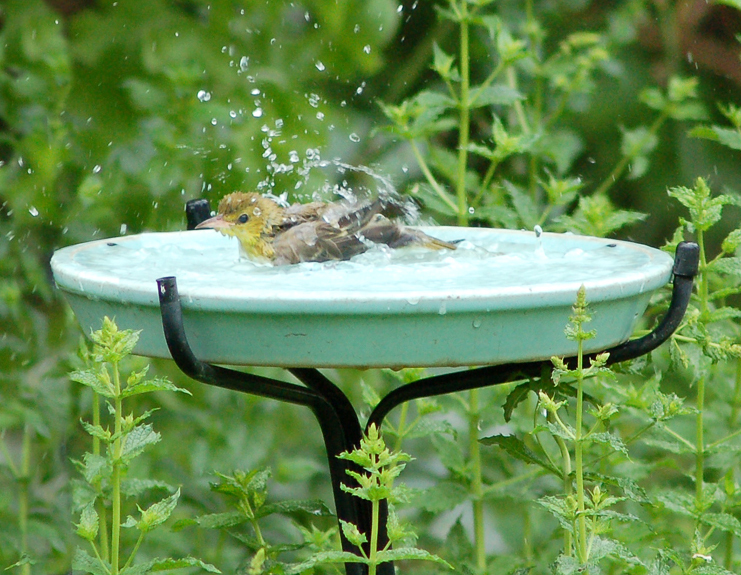 Just like for people, water is a top priority to birds. Depending on the species, they may need to drink a few times a day and many will bathe on a regular basis. Be sure to keep a fresh supply of water in your bird bath. Proper placement in your yard and birdbath design is very important for the bath to be utilized, and there are many ways to make your it more inviting to the avifauna in your yard.